Due to improved veterinary care and dietary habits, pets are living longer now than they ever have before. One consequence of this is that pets, along with their owners and veterinarians, are faced with a whole new set of age-related conditions. In recent years there has been extensive research on the problems facing older pets and how their owners and veterinarians can best handle their special needs. Q: When does a pet become “old”? Age: Human Equivalent for Older Pets. Q: What kinds of health problems can affect older pets? Q: I know my pet is getting older. How do I help them stay happy and healthy for as long as possible? Increased veterinary care Geriatric pets should have semi-annual veterinary visits instead of annual visits so signs of illness or other problems can be detected early and treated. Senior pet exams are similar to those for younger pets, but are more in depth, and may include dental care, possible blood work, and specific checks for physical signs of diseases that are more likely in older pets. Weight control Weight gain in geriatric dogs increases the risk of health problems, whereas weight loss is a bigger concern for geriatric cats. Maintaining mobility As with older people, keeping older pets mobile through appropriate exercise helps keep them healthier and more mobile. Vaccination Your pet’s vaccination needs may change with age. Talk to your veterinarian about a vaccination program for your geriatric pet. Mental health Pets can show signs of senility. Stimulating them through interactions can help keep them mentally active. If any changes in your pet’s behaviour are noticed, please consult your veterinarian. Reproductive diseases Non-neutered/non-spayed geriatric pets are at higher risk of mammary, testicular, and prostate cancers. Q: My older pet is exhibiting changes in behaviour. What’s going on? A: Before any medical signs become apparent, behavioural changes can serve as important indicators that something is changing in an older pet, which may be due to medical or other reasons. As your pet’s owner, you serve a critical role in detecting early signs of disease because you interact and care for your pet on a daily basis and are familiar with your pet’s behaviour and routines. If your pet is showing any change in behaviour or other warning signs of disease, contact your veterinarian and provide them with a list of the changes you have observed in your pet. Sometimes, the changes may seem contradictory – such as an older pet that has symptoms of hearing loss but also seems more sensitive to strange sounds. Q: Is my pet becoming senile? A: Possibly. Once any underlying or other disease causes have been ruled out, there is a chance your pet may be experiencing cognitive dysfunction. Studies conducted in the early 1990s were the first to identify brain changes in older dogs that were similar to brain changes seen in humans with Alzheimer’s disease (ie, ß-amyloid deposits). Laboratory tests were also developed in the 1990s to detect learning and memory deficits in older dogs. Recently these studies have started on younger dogs in order to fully understand the effect of ageing on the canine brain. 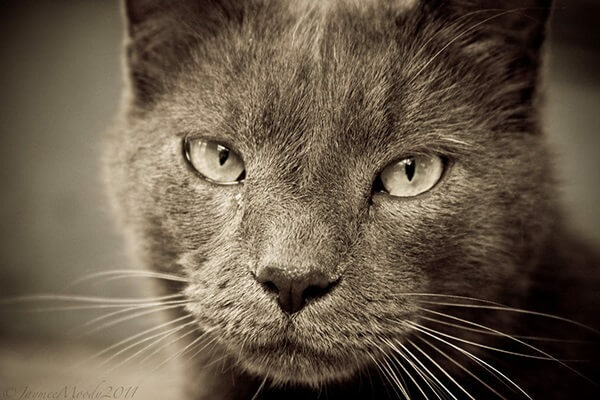 Similar studies in young and older cats are also ongoing. While researchers are still not able to identify any genetic cause of why certain animals develop cognitive dysfunction, there are drugs and specific diets available that can help manage cognitive dysfunction in dogs. If you think your pet is becoming senile, discuss it with your veterinarian. Q: What are the common signs of disease in an older pet? A:The signs you might see will vary with the disease or problem affecting your pet, and some signs can be seen with more than one problem. As the pet’s owner, you can provide your veterinarian with valuable information that can help them determine what is going on with your pet. Q: How common is cancer in older pets? A: In pets the rate of cancer increases with age. Cancer is responsible for approximately half the deaths of pets over 10 years of age. Dogs get cancer at roughly the same rate as humans, while cats tend to have lower rates of cancer. Some cancers, such as breast or testicular cancer, are largely preventable by spaying and neutering. A diagnosis of cancer may be based on x-rays, blood tests, physical appearance of tumors, and other physical signs. The ultimate test for cancer is through confirmation via a biopsy. Q: My pet seems to be in pain, and isn’t as active as they should be. What should I do? A: First, talk to your veterinarian and have them examine your pet. Your pet might have arthritis. Older pets, especially large dogs, are vulnerable to arthritis and other joint diseases, and the signs you see can vary. This chart provides the basic signs you might see if your pet has arthritis; you might see one or more of these signs in your pet. Healthy diet and exercise to help maintain proper weight. Working with your veterinarian to find a drug treatment that helps relieve the pain. Nonsteroidal anti-inflammatory drugs (NSAIDS): the most common treatment for arthritis in dogs. These drugs are similar to ibuprofen, aspirin, and other human pain relievers. Over-the-counter pet treatments, such as pills or food containing either glucosamine and chondroitin sulfate or Omega fatty acids. Both have shown to help relieve the symptoms of arthritis in dogs. A veterinarian-prescribed NSAID and an over-the-counter treatment that together may help decrease pain and disease progression. Do not give human pain medications to your pet without first consulting your veterinarian. Some human products, including over-the-counter medications, can be fatal for pets. Changes in the home environment may also help you deal with an older pet who is experiencing stiffness and/or pain. Orthopaedic beds, stair steps to help an animal up to higher places (so they don’t have to jump), raised feeding platforms, etc. can help make your arthritic pet’s life more comfortable. Q: When should we euthanasia a pet? How will we know it’s the right time? A: This can be an incredibly difficult question for both the owner and the veterinarian, and is often a very tough decision to make. Sometimes, euthanasia is obviously the best thing to do for your pet. At other times, however, it can be less clear. An open discussion with your veterinarian, including an honest evaluation of your pet’s quality of life, should help you make the decision. One way to determine if your ageing pet is still enjoying life and can remain with us a little longer is by using a “Quality of Life” scale to determine if the animal’s basic needs are being met. This scale can be very helpful for the veterinarian and pet owner when deciding what is best for your pet. In this scale, pets are scored on a scale of 1 through 10 in each category, with 10 being the highest score for quality of life. Again, only an honest evaluation of each category will help with the decision. HUNGER Is the pet eating enough? Does the pet require hand-feeding or a feeding tube? HYDRATION Is the pet dehydrated? Does it need subcutaneous fluids? HAPPINESS Does the pet express joy/interest? Does it respond to its environment? Does the pet show signs of boredom/loneliness/anxiety/fear? MOBILITY Can the pet get up without assistance does the pet want to go for a walk? Is the pet experiencing seizures/stumbling? A total of 35 points is considered acceptable for a quality of life score.